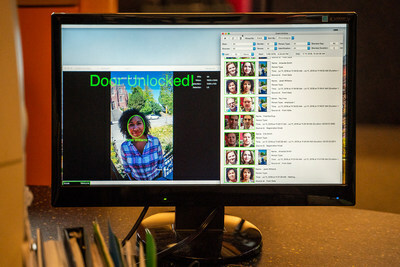 RealNetworks Provides SAFR Facial Recognition Solution for Free to Every K-12 School in the U.S. and Canada | RealNetworks, Inc.
SEATTLE, July 17, 2018 /PRNewswire/ -- RealNetworks, Inc. (NASDAQ: RNWK), a leader in digital media software and services, today announced the free and immediate availability of SAFR™ for K-12, an AI and machine learning based facial recognition solution to help enhance safety in over 100,000 K-12 schools in the United States and Canada. At no cost, and for the first time, K-12 schools can now confidently apply state-of-the-art facial recognition technology to better protect the school environment. SAFR for K-12 can be downloaded by schools beginning today at www.realnetworks.com/safr/k12. SAFR currently supports Mac and iOS platforms, with Android and Windows versions scheduled for release this fall. "School safety has become one of the top national issues in the United States in 2018," said Rob Glaser, chairman and CEO of RealNetworks. "We are proud to give our leading edge SAFR for K-12 technology solution to every elementary, middle, and high school in America and Canada. We hope this will help make schools safer." SAFR utilizes existing IP-based cameras and readily available hardware to recognize staff, students, and visitors in real time to help improve school safety, while concurrently providing additional benefits that strengthen security, such as streamlining entry, record keeping, campus monitoring, and guest check-in. SAFR encrypts all facial data and images to ensure privacy, and all facial data and images remain exclusively within the school's domain as part of, or complementary to an existing school ID system. "Wyoming is unique in its commitment to working with new innovations and America's leading technology companies," said Wyoming Governor Matt Mead. Tony Young, Wyoming Chief Information Officer said, "Wyoming has a history of being at the forefront of technological evolutions. Whether it's our investment in statewide high-speed broadband networks, IT infrastructure supporting our education facilities and state infrastructure, or our connected vehicles program. More recently, our rapid iterations with the RealNetworks team have been exciting. SAFR provides the opportunity to utilize existing camera systems to intelligently scale and achieve an accurate understanding of who's entering a school campus." "SAFR immediately proved to be an enormously valuable asset, helping to ensure that our open, urban campus stays secure," said Paula Smith, head of school at University Child Development School. "The facial recognition solution provides parents and staff faster campus and building access, freeing up staff so they can devote more time to student needs." Whether people are walking, running, or being partially blocked, SAFR recognizes faces with proven 99.8 percent accuracy for Labeled Faces in the Wild (LFW), based on the University of Massachusetts benchmark. In addition, the June results of RealNetworks' first submission to the National Institute of Standards and Technology (NIST), ranked SAFR's recognition algorithm for "Wild Faces" False Non-Match Rate (FNMR), placing it as one of the world's top recognition algorithms. NIST is the premier measurement standards laboratory for the United States. Building on its legacy and leadership in streaming media, including compression, media delivery, digital rights management, and efficient scalability, RealNetworks' expertise now extends to AI, machine learning and deep neural networks: the foundation of SAFR. RealNetworks creates innovative applications and services that make it easy to connect with and enjoy digital media. RealNetworks invented the streaming media category and continues to connect consumers with their digital media both directly and through partners, aiming to support every network, device, media type and social network. Find RealNetworks' corporate information at www.realnetworks.com.